What you eat before and after the gym can make a big difference to your performance and results. But it can be difficult to know which formula to follow. Veena Mistry sheds some light. We go to the gym because we want to feel fit and healthy and look our best. But many of us struggle to understand one of the key factors in a good gym session – nutrition. Good nutrition can not only support a healthy body from the inside, it can help improve your performance. But getting the balance right can be challenging. Should you pack in lots of carbohydrates to give you energy before your workout, or save them for after? If you don’t eat enough before the gym you can feel dizzy, due to low blood sugar; but if you eat too much you can be sluggish and may even feel nauseous. Finding the right balance is key. Pre workout snacks should include complex carbs, your body’s preferred source of fuel, and protein, which provides the essential building blocks for body tissue. 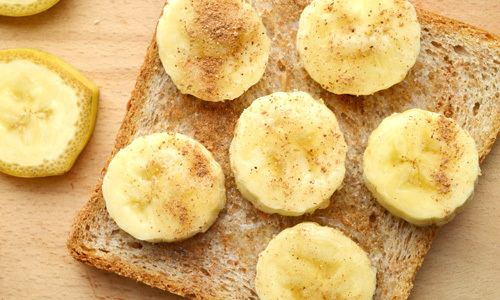 Wholegrain toast with almond nut butter, banana and ground cinnamon Eating one slice of this tasty pre-workout snack will release energy slowly and steadily throughout your workout. Bananas are a great source of potassium, which is essential for muscle function, so this recipe will help boost potassium levels, which are lost through sweat. Smoothies Smoothies are a good way to combine carbohydrate and protein. 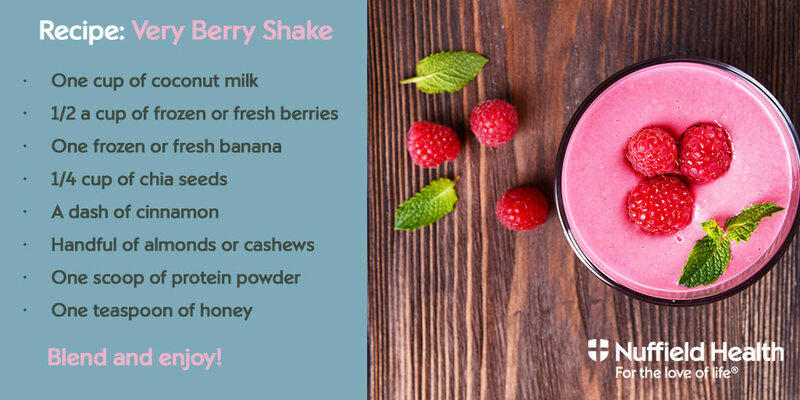 Try a smoothie that includes a cup of Greek yoghurt, banana and blueberries (also a great source of antioxidants) with a cup of unsweetened almond or coconut milk. When you workout you put stress on your muscles and create small tears which then need to repair. Protein is vital for the growth and repair of muscle tissue. As hard training depletes the body’s stores of protein it is important to refuel with high protein snacks as soon as possible. As well as repairing, your body will need to refuel after an energy-guzzling workout session. Eat complex carbohydrates to help restore energy. After a tough workout you may feel less like eating but more like drinking. This is because a build-up of acids in your body after intense workouts can lead to loss of appetite and nausea in some cases. Always remember to drink plenty of water before, during and after your workout to provide stamina and replace fluids lost through sweating. Watching live sporting events is a special experience, but the array of tempting unhealthy treats on offer can be a minefield. 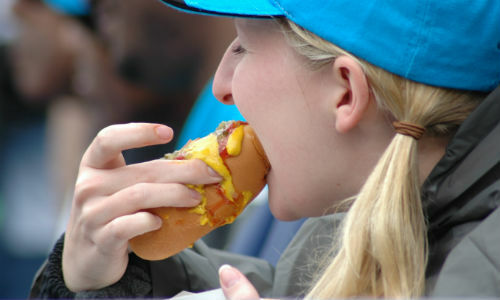 Mary Cotter provides some nutritious and delicious alternatives to your typical spectator foods. 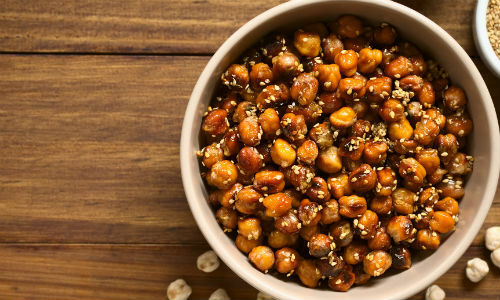 Roasted chickpeas are a great snack for slow-release energy to help you feel fuller for longer. Nutritional Therapist Mary Cotter dishes out the recipe.